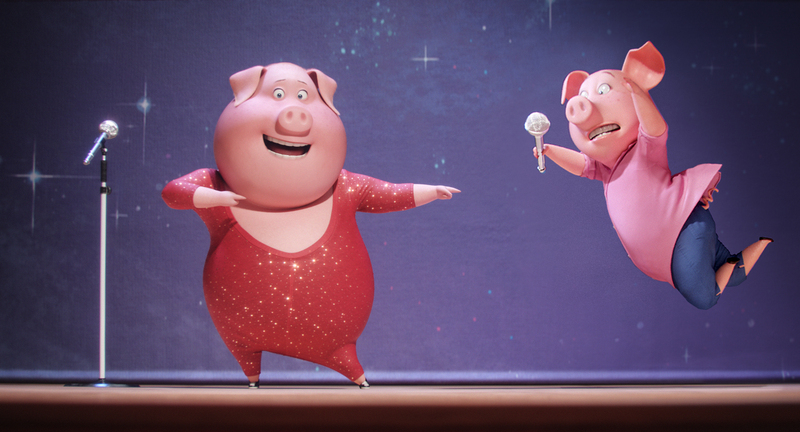 One of the many great things about Sing is the film’s simplicity. 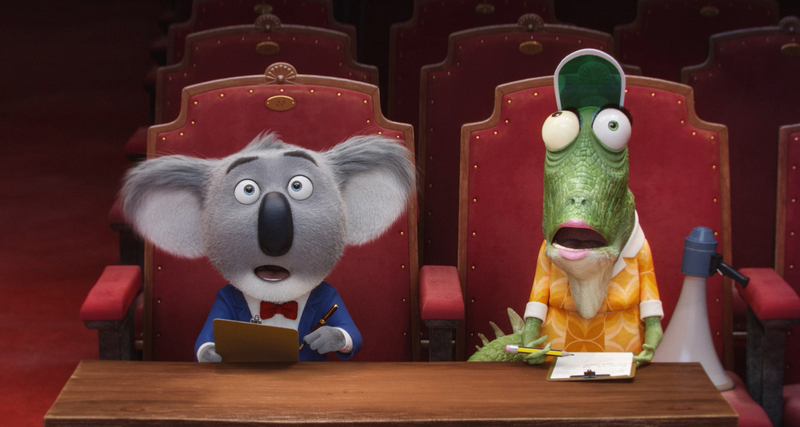 A koala (Buster Moon – voiced by Matthew McConaughey), in needs of funds to renovate his beloved dilapidated theatre, puts on a talent show and invites the neighbourhood animals to participate. He is looking to raise money and hopes the show will be a hit and tickets sales will be red hot. Thanks to a misprint on the talent show flyer courtesy of Buster’s elderly green iguana assistant Ms. Karen Crawley (director Garth Jennings), the fame-hungry hopeful participants believe the prize money is a good deal larger than what is actually on offer, thus making the talent show an opportunity of a lifetime. The key contenders are Reese Witherspoon as Rosita, a domestic pig who gave up her teenage music dreams to become a devoted wife of Norman and mother to 25 piglets. She is teamed up with an optimistic and bubbly dance partner (Nick Kroll as) Gunter who provides many of the laughs in the very funny film. 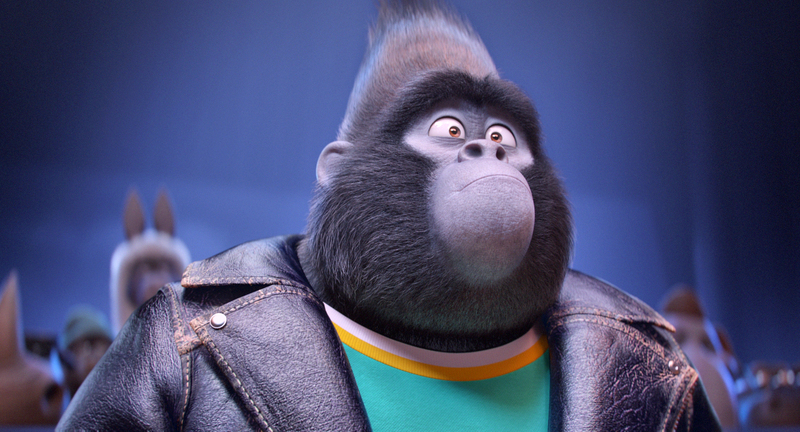 Taron Egerton voices Johnny, a Cockney-accented mountain gorilla who wants to sing, but whose father wants him to follow his criminal footsteps, and the competition offers him a chance to escape his likely fate behind bars. Seth MacFarlane is Mike, a small white crooning mouse with a big Frank Sinatra-esque voice and an arrogant attitude who needs the prize-money to pay off big gambling debts in the wrong end of town. 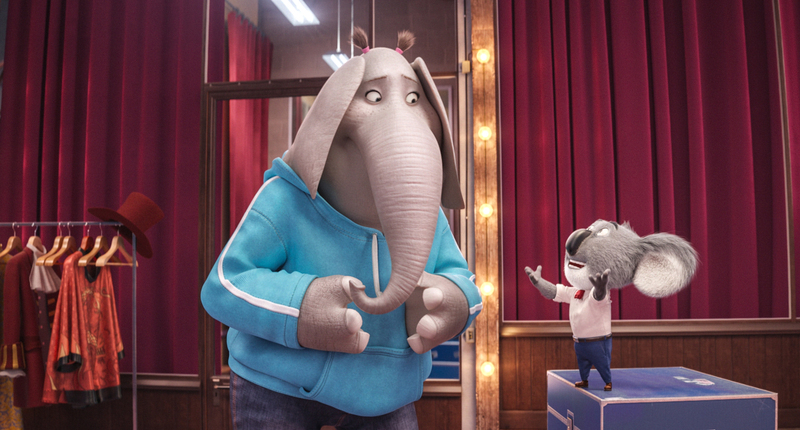 Tori Kelly (who appeared on American Idol before going onto success on YouTube) voices Meena, a teenage Indian elephant with an exquisite voice and severe stage fright whose family are desperate for her to succeed, but her shyness is proving a major obstacle. 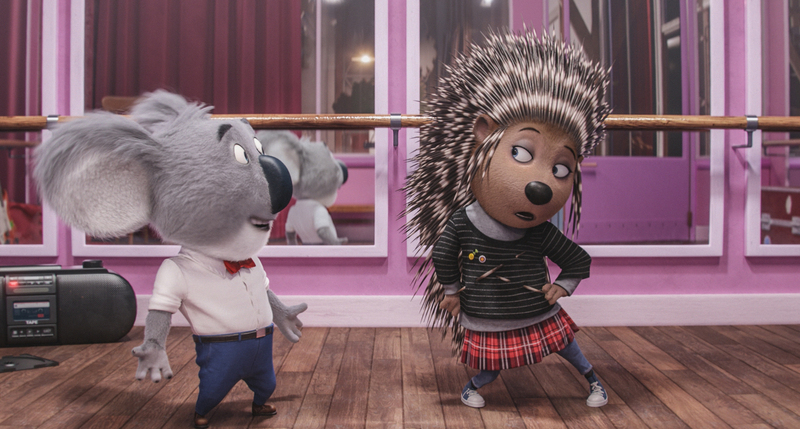 Scarlett Johansson is wonderful as Ash, a porcupine punk rocker who takes part in an alternative-rock music group with her boyfriend Lance until he shows his true colours and she goes solo. 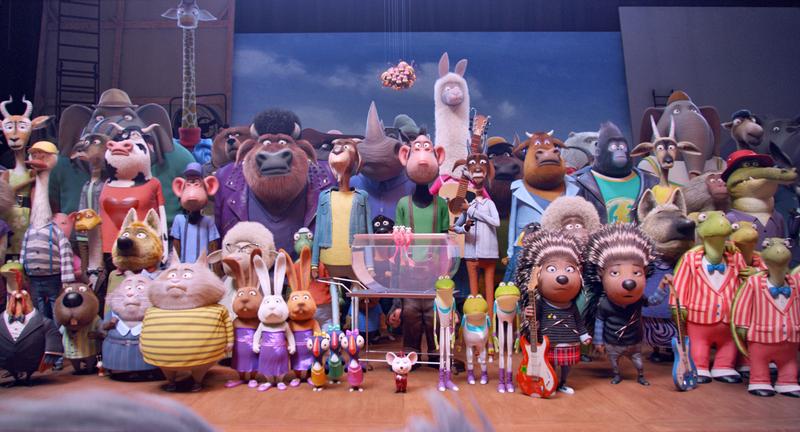 Much like the other animated talking animal films of 2016 including Zootopia and Secret Life of Pets, the rich tapestry of citizens in this universe offer endless opportunities for fun. From snails and crocodiles to Japanese pop pandas and diva frogs, Sing covers every imaginable creature cameo. 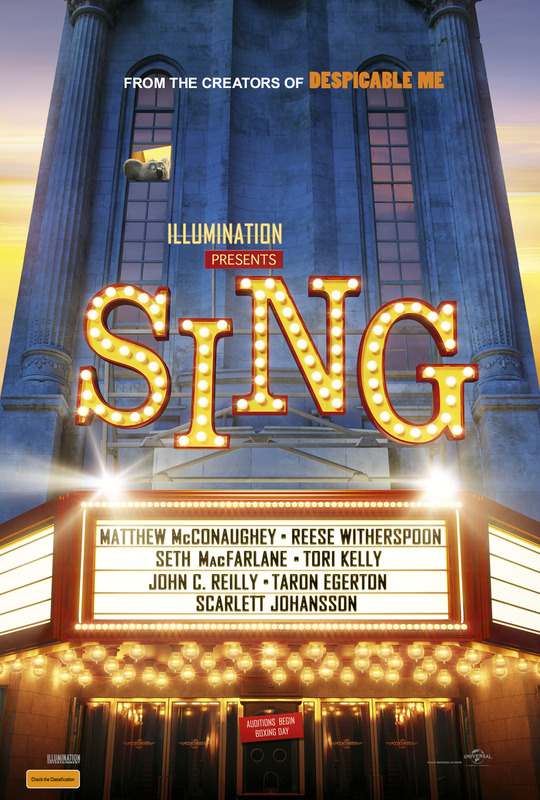 I’ve been looking forward to this since the first trailer and Sing did not disappoint in the slightest. 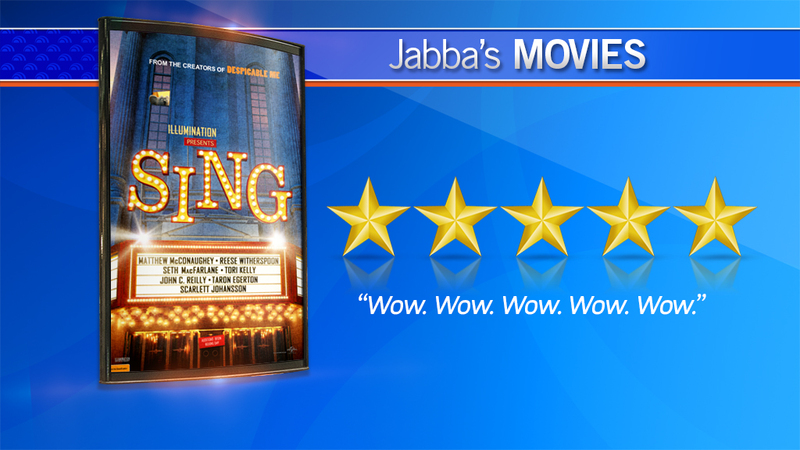 I gave it five stars because it ticked every box – Excellent story, vivid and stunning animation, relatable characters, gags galore and a huge collection of famous contemporary pop songs, retro hits and a few surprises including a Jack White number which impressed me no end.